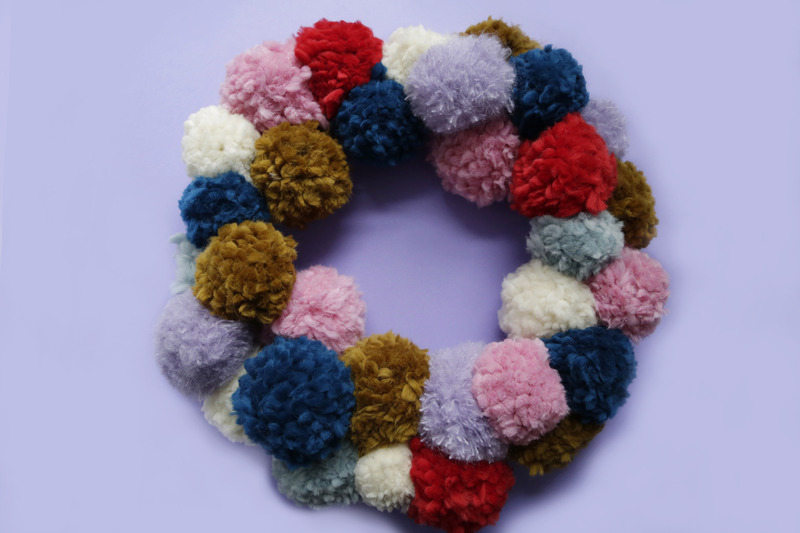 It’s that time of year guys, it’s time for Pom Pom Christmas wreaths. Oh yeaaah! 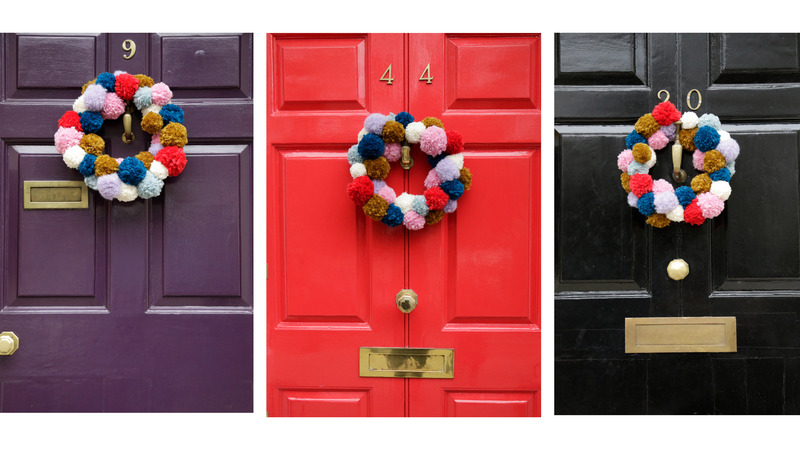 Follow these simple steps on how to make the ultimate wooly wreath for your door. 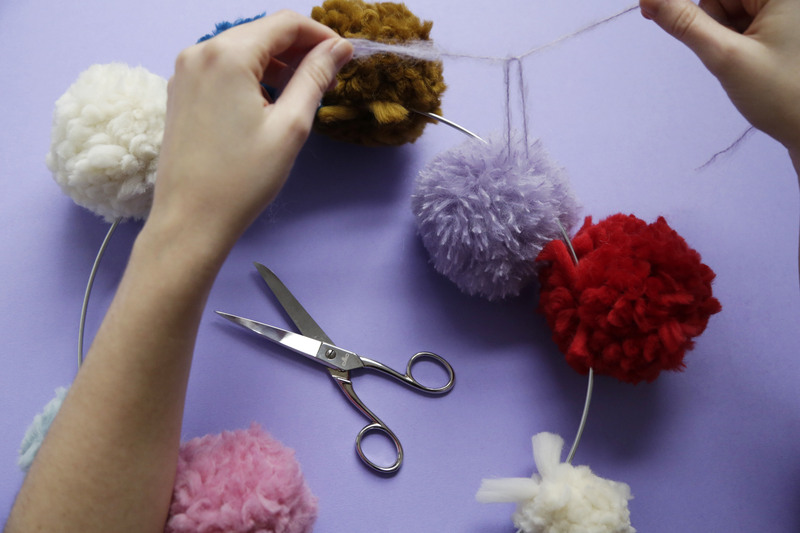 To get going on your wreath, you will need to get making on those pom poms. 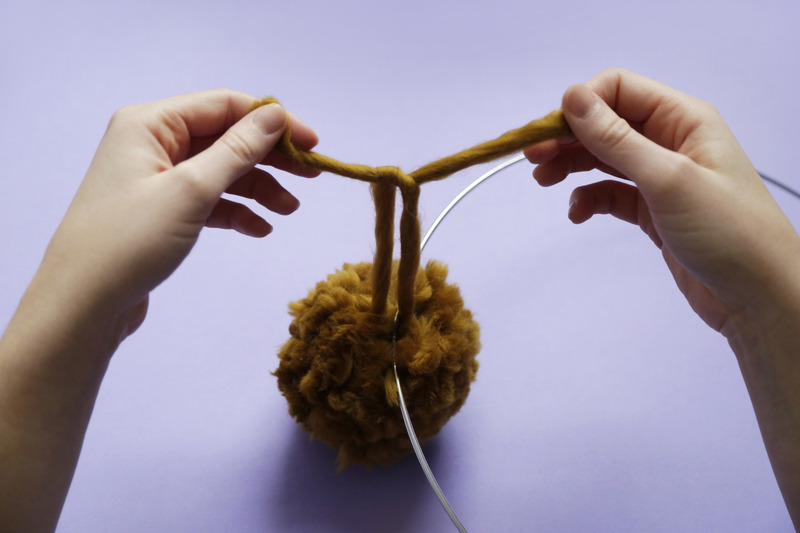 You can use a pom pom maker for this (which definitely speeds up the process) BUT it’s just as easy to use some scrap cardboard. 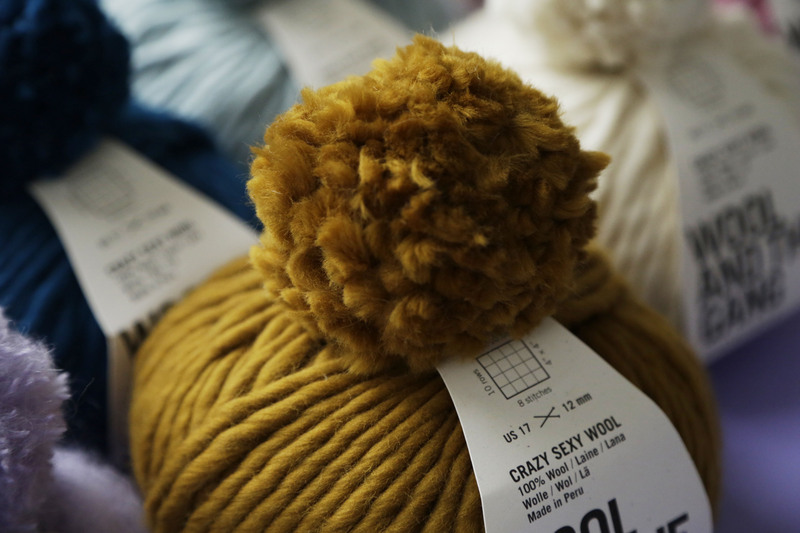 We made a selection of poms in both large and small sizes and also trimmed a few of the larger poms so we have a range of sizes. 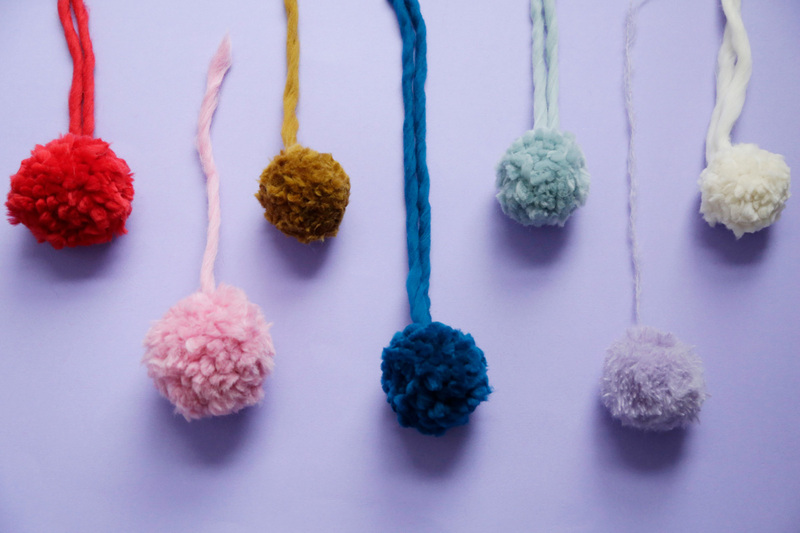 In total we made 32 pom poms, the more the merrier we say! 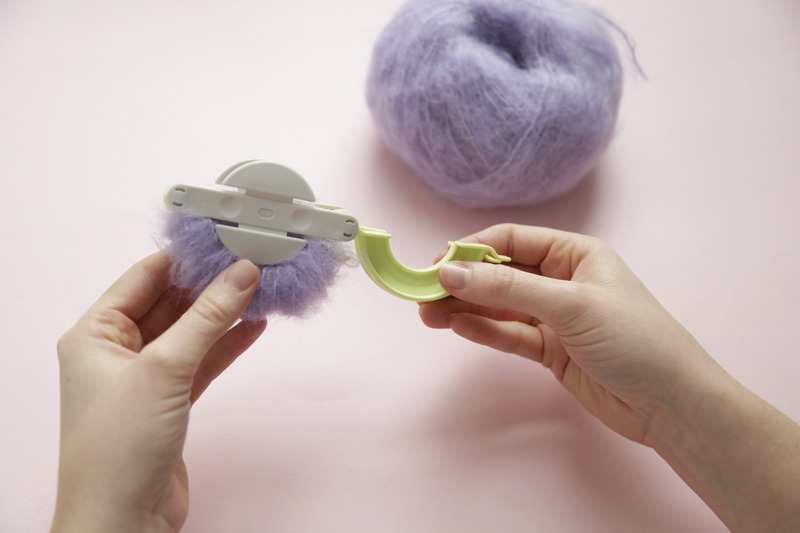 Click to our How To Use A Pom Pom Maker post and follow our simple steps. 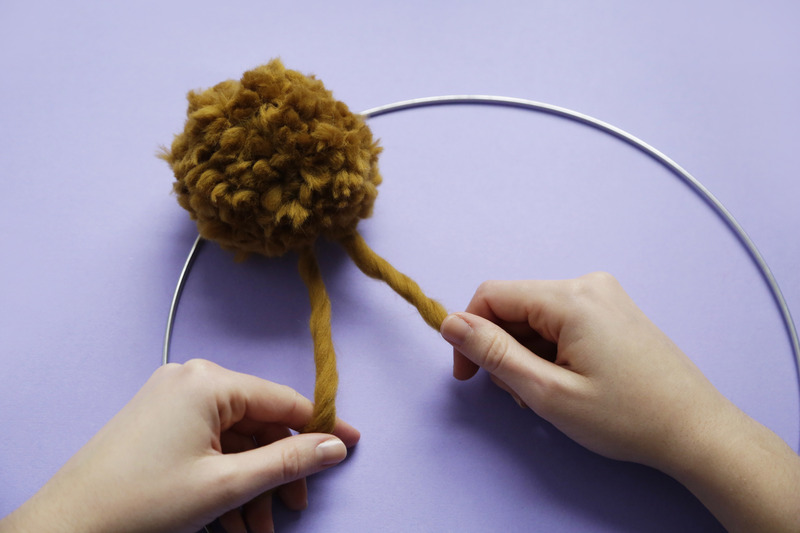 Lay your ring down on a flat surface and grab your first pom. 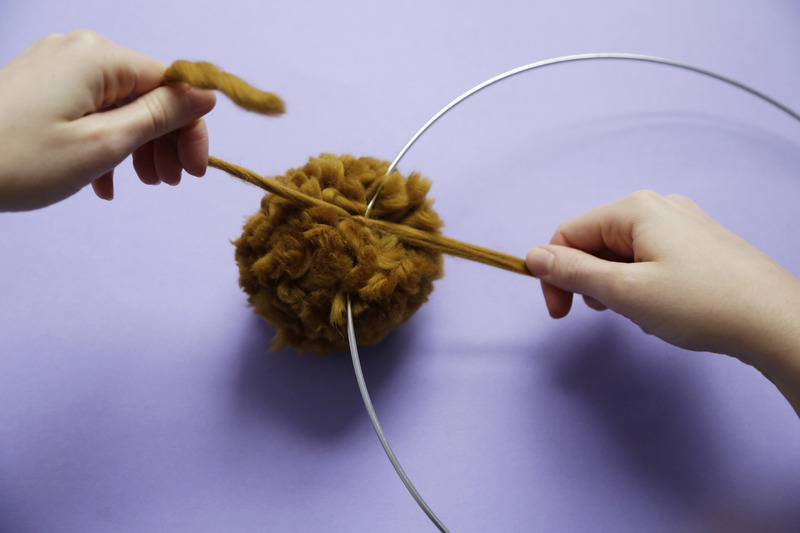 Place your pom underneath the ring with the long strands of yarn facing upwards. 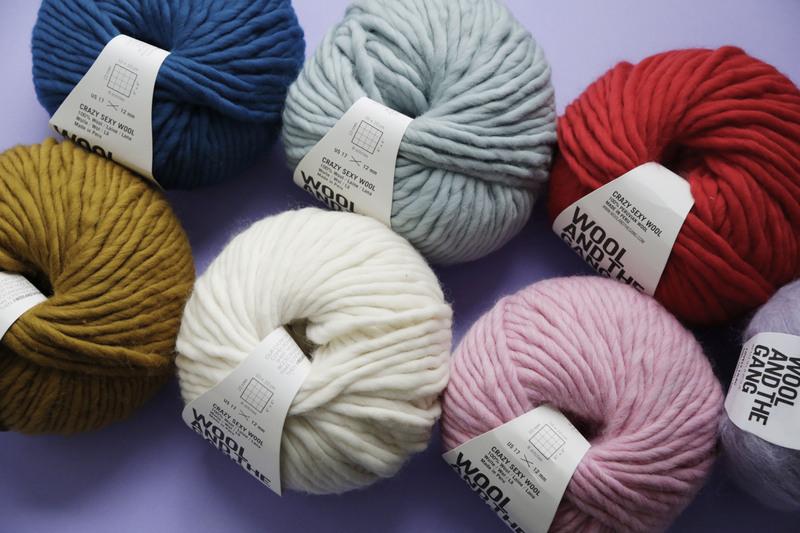 Take the long strands of yarn and wrap them over the ring and tie them in a tight knot. 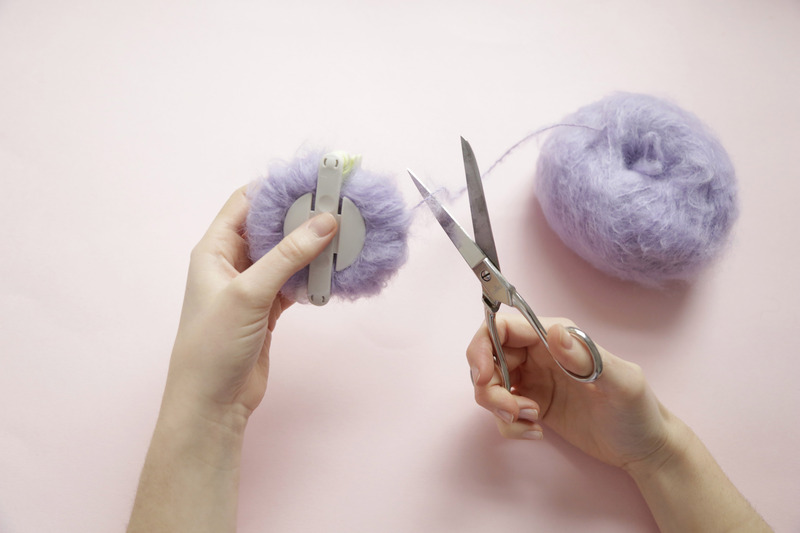 Tie them once more (making a double knot) and then trim the long strands so they are the same length as the rest of the pom. You should be able to adjust the position of the pom but it won’t fall off the ring. 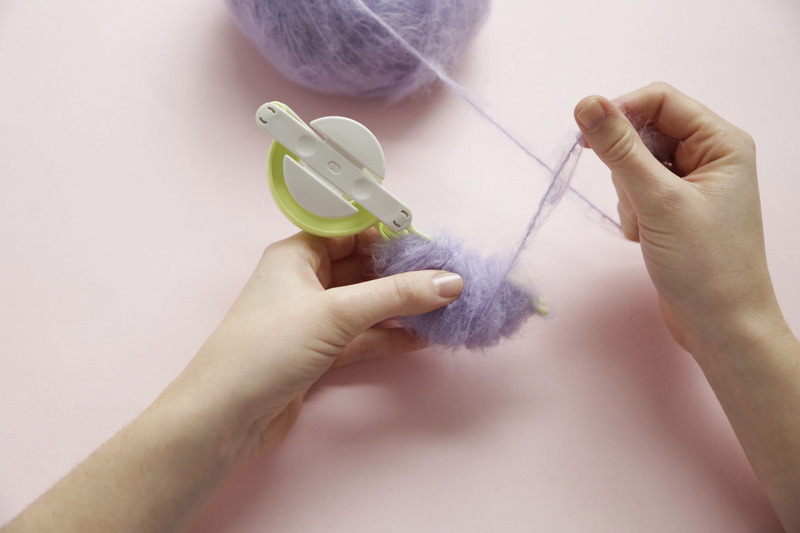 Keep working in this way, attaching your poms to your ring and then making and attaching more until your ring is full of pom pom goodness.